New Zealand police have arrested three suspects in the country’s biggest cocaine bust ever. 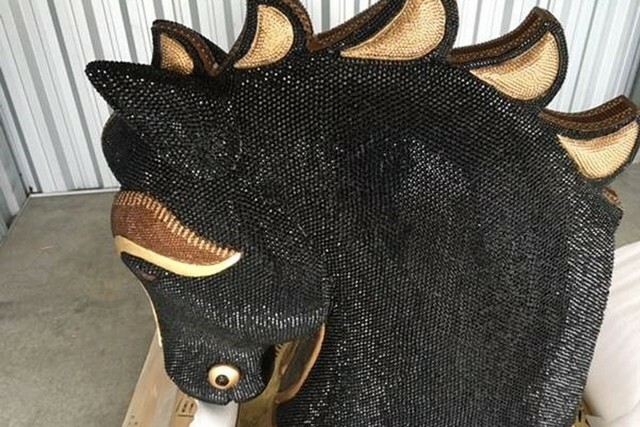 A record $10 million (USD) of Mexican cocaine was intercepted inside a diamond-encrusted horse head statue. The 77 pounds of cocaine was shipped air-freight from Mexico to Auckland in May. An investigation has led to the arrest of a 56-year-old American and two Mexicans, all in their forties. All three men will be charged with importing a Class ‘A’ drug, punishable by life in prison. Two of the men were arrested on Saturday at Auckland International Airport as they were about to board a plane for Hawaii. In all, the diamond encrusted horse statue weighed 882lbs and stood about three feet tall. “This is obviously an extremely large amount of cocaine, and in the past we’ve only found very small amounts of this drug,” says Detective Senior Sergeant. Colin Parmenter, officer in charge of organised crime in Auckland. Additional arrests have not been ruled out by police. Speculation within the ranks says the drugs were most likely bound for another country and were to be broken down and shipped out of New Zealand.